Posted in "New National Anthem" . DJ . Merchandise . Music . T.I. Rapper T.I. has just put out a brand new track featuring Ms. Grey, entitled “New National Anthem”! The song features production by Tommy Brown. 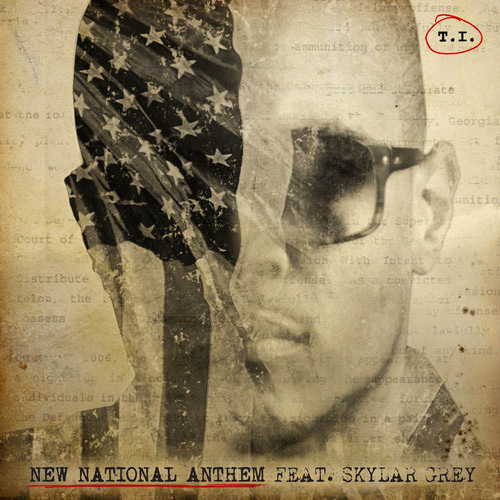 This track is set for release on T.I.’s upcoming eighth studio album Paperwork: The Motion Picture (Ms. Grey previously penned the 2010 song “Castle Walls“, which was recorded by T.I. and Christina Aguilera and appeared on the former’s seventh studio album No Mercy), and is in response to the recent killing of Michael Brown in Ferguson, St. Louis, Missouri. Stream the song officially via T.I.’s website by clicking its artwork below!